Becoming more prevalent in occurrence, gluten intolerance in kids is often a hidden condition until symptoms become bad enough to be noticed. Without proper treatment, it can worsen as a child moves into adolescence and grows into an adult. Weight loss in a child is not normal. The term “grows like a weed” was created to describe how children grows – so fast that they quickly outgrow clothes and shoes. When a child has gluten intolerance, a strong indication is weight loss. The condition can cause the body to reject nutrients by not absorbing them correctly, causing malnutrition and weight loss. Children are naturally full of energy. They consume food, convert it into fuel and burn it as they grow. Gluten intolerance in kids can be evident when a child suffers from fatigue with no evident cause. The lack of nutrient absorption deters energy production. A child with a rash is not an uncommon occurrence. However, when a rash is constant and does not resolve over time, this is a good indication of gluten intolerance. When gluten is the cause, the rash typically appears as little bumps on the upper arms. This symptom is also evident in adults. Because gluten intolerance affects the digestive system as a whole, stomach pain and bloating are common symptoms. 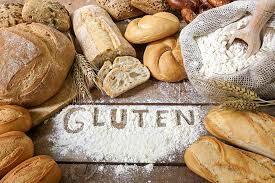 If gluten is not removed from your child’s diet, it can become very painful as the intestines try to process it. The pain could even become chronic over extended consumption. Most children fall asleep pretty quickly at night once they have settled in. However, gluten intolerance in children disrupts the sleep cycle, thus causing sleeping problems. The digestive pain that the condition causes keeps children tossing and turning all night and in turn makes them sleepy all day. How Is Gluten Intolerance in Kids Diagnosed? The most common and effective way to test children for gluten sensitivity is the elimination challenge. During the test, you must remove all gluten from your child’s diet for no less than two weeks and up to one month with no exceptions. You will have to record any changes in your child, both emotionally and bodily. After a short period, you will slowly introduce gluten back into your child’s diet. Continue to monitor for any dramatic indications of gluten intolerance symptoms. If either the elimination or introduction of gluten causes significant changes, your child most likely suffers from an intolerance of gluten. Other tests your doctor may order include an endoscope, blood tests and biopsy. These are used to rule out celiac disease. Some of the tests may be performed twice to ensure they are correct. The key to managing gluten intolerance in kids is a gluten-free diet. Here are tips on how to control your child’s condition. A major change will have to be made in your child’s diet and even yours because cross contamination can affect your child’s health. At the very least, you need to make sure items containing gluten are clearly separated from other food items. Now that you know ingredients that contain gluten, you have to realize they can be found in so many products. You may have to eliminate some of your child’s favorite snacks or meals, but keep in mind it is for their best interest. When shopping, you will have to take extra care at looking at the list of contents. 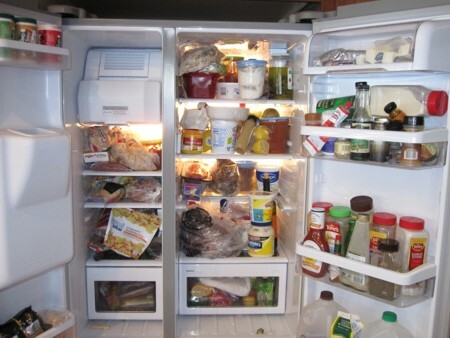 Processed foods are not the only ones to worry about. 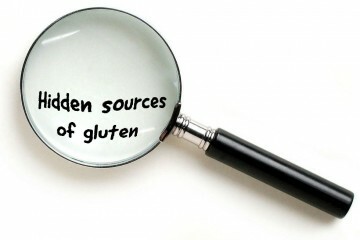 When gluten-free foods are mixed with glutinous ingredients, they then contain the gluten you are trying to avoid. It is important for you to read food labels so you don’t accidently feed your child food that will set off his or her symptoms. Grains that are gluten-free naturally are buckwheat, amaranth, corn, millet, rice, arrowroot, cornmeal, tapioca, quinoa, flax, teff and gluten-free flours. 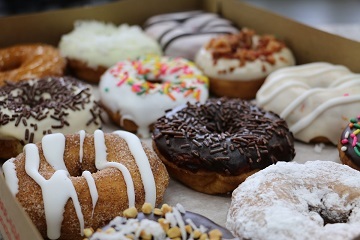 Common terms for gluten that should be avoided include malt, cereal, vegetable protein, flour, hydrolyzed protein, soy sauce, modified food starch, malt flavoring, vegetable gum and glutamate. Keep your child away from any foods or products that are processed and do not specifically state “gluten-free”. This includes seasonings and spices. It is hard to take your child out to eat in a restaurant when he or she suffers from a gluten intolerance. Most restaurants use gluten in their products or cross-contaminate ingredients when preparing meals. Do not be afraid to question the menu. Gluten-free sections are becoming more common in restaurant menus. You can also speak to the chef about menu items containing gluten or a specially prepared meal without it. There is a list of kitchens certified as gluten-free by the National Foundation for Celiac Awareness at www.celiaccentral.org/dining. Foods to avoid when eating out include fried onions, croutons, crispy noodles, wontons, barley soups, soups containing flour, oils used to fry breaded items, marinated foods containing teriyaki or soy sauce, breads, foods dredged or lightly dusted in flour before cooked and instant potatoes. Restaurant choices that are typically safe for your child include roasted meats, steamed fresh vegetables, ice cream and desserts made of fruit. Keep in mind that the restaurant may not have items your child can enjoy and have a back-up plan. You should always look out for chances of cross-contamination when preparing foods at home or going out to eat. At home, use different storage containers, cutting boards and preparation areas for your food and your child’s food. Also, use different toasters, pans and other cooking appliances when preparing gluten-free meals if your child’s sensitivity is high. There are several things you can make your child for breakfast that are gluten-free and still delicious. Eggs are a great ingredient that provides lots of nutrition and protein. They are versatile and can be cooked in many different ways, including as an omelet with gluten-free ingredients like vegetables. To make things easy in the morning, you can cook gluten-free cereals in a crock pot overnight, so you can serve your child a quick yet hot meal in the morning. Cereals to consider using include buckwheat, quinoa or steel cut oats that are gluten-free. Since you should avoid boxed cereals, consider making gluten-free granola. There are several kid-friendly lunch options that are gluten-free. Think chicken or tuna salad wraps, gluten-free crackers and chips or even taco filling. Gluten-free crackers with hummus or guacamole to dip into or piled high with cheese are a nice treat. Fresh fruit and vegetables are great options, too. So are salsa and tortilla chips, if they are prepared correctly. Night time meals are in no way more restricted than any other meals, even when considering gluten intolerance in children. You can make any type of meat and serve it to your child with a millet, potato, quinoa or rice side. You can also combine ingredients and make a casserole that is gluten-free. If your child likes soup, you can make a wide-variety, including taco soup, minestrone, vegetable soup and chicken noodle. With all the gluten-free pastas on the market, you can make spaghetti and meatballs or macaroni and cheese. Great snack options include cheese sticks, fruit, granola, vegetable sticks, cottage cheese and fruit slices. Depending on your child’s age, nuts are a good choice. They are full of healthy fats, protein and vitamins. Find the right recipes and you can make your child delicious gluten-free cookies, cakes and muffins to snack on.